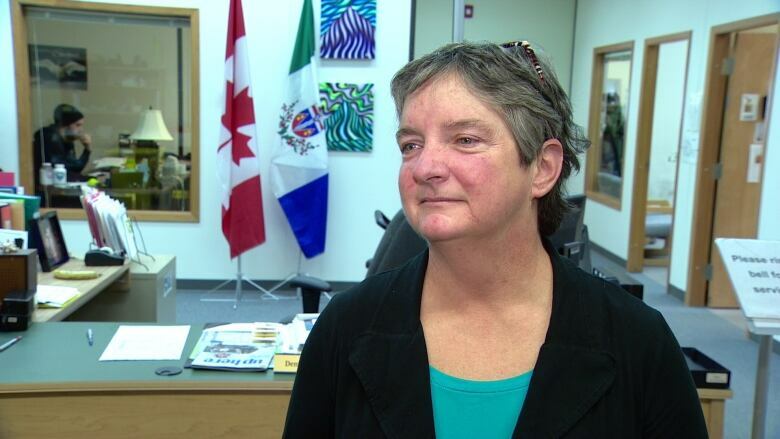 Jan Stick says health care in the Yukon is suffering because of a shortage of nurses in the communities. 'Nurses are just being overworked, burned out,' the opposition MLA said. A Yukon MLA says health care in the territory is suffering, and the territorial government must do more to recruit community nurses. Jan Stick, the opposition NDP's health critic, says staff shortages in smaller communities mean nurses are often working successive shifts, with little support. Stick says five community nurses have quit in recent months. "What we're hearing is that the nurses that have been trying to do the work out there are getting burned out," Stick said. "They're quitting, they're leaving, because they just can't maintain that level of work and stress." "It's not just one health care centre, but it's many of them." Yukon health minister Mike Nixon said turnover is bound to happen. "We continue to work with the Nurses Association, we continue to work on recruitment and retention of nurses in the communities," Nixon said. The health minister also disputed one of Stick's claims, saying two nurses have left in recent months, not five. He said 11 of the territory's 40 community nurse jobs are now vacant. Steve Geick, president of the Yukon Employees Union, worked as a community nurse for 15 years. He says it's difficult to recruit people because of the expanded scope of community nursing. He also says that though Yukon can offer a nice quality of life, Nunavut and the Northwest Territories pay nurses more. "When you tack on $20,000 or up to $50,000 more a year, that 'niceness' and the Yukon way of life can only stretch it so far," he says. Geick says nursing shortages have happened before in Yukon, but the current one is more severe than usual.